Our laboratory aims to understand how heart and brown adipose tissues grow during normal developmental phases and different disease conditions. Hippo-YAP pathway is a newly discovered signaling pathway that controls organ growth, which is composed of upstream kinases and downstream transcriptional regulators. Environmental signals, such as cell contact, lipid and hormones, affect the activities of the Hippo-YAP pathway kinases, which relay the signals to their transcriptional effectors to change gene expression. We are particularly interested in defining the roles of the Hippo-YAP pathway transcriptional effectors during postnatal growth. 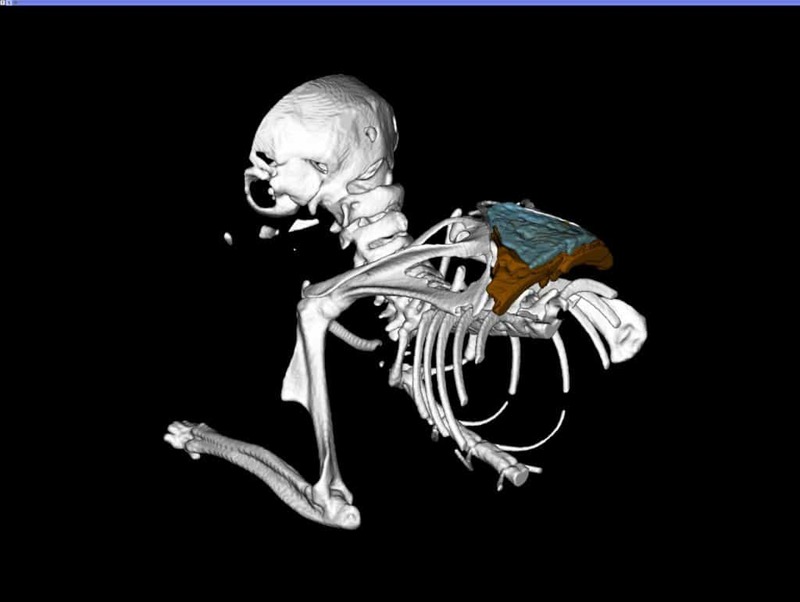 We mainly use mouse models to carry out our studies. Using newly generated conditional knock-out mouse models, we are deciphering the crucial molecular mechanism controlling heart and brown adipose tissue growth. Investigating the molecular mechanism of how the extrinsic developmental signals control heart and brown adipose tissue growth after birth will help us understand how these two organs grow and mature. The newly discovered knowledge will pave ways for making mature human-induced pluripotent stem cell (hiPS)-derived cardiomyocytes, the available of which is a critical step for cardiac regenerative medicine. Brown adipose tissue controls the non-shivering heart generation in our body. In human, newborn babies have abundant functional brown adipose tissue, which decreases with age and almost undetectable in adult human beings. Understanding how the brown adipose tissue grows and diminishes with age will help developing new drugs treating obesity. Except for carrying on basic research, we are also using adenovirus-associated virus (AAV) based gene therapy method to manipulate gene expression in the heart and brown adipose tissue, aiming to mitigate the disease progression, such as heart failure and obesity. I got my Ph.D from Peking University in 2008. During my Ph.D training, I worked on Arabidopsis, a plant model organism, focusing on studying the development of shoot apical meristem (SAM). After graduation, I diverted my study from plant molecular biology to cardiovascular research, and worked in the Institute of Zoology for two years. In 2009, I moved to Boston Children’s Hospital and joined in William T. Pu’s lab. In 2013, I was appointed as instructor and started building up my own research projects. In the beginning of 2018, I was recruited to MMRI to start my own lab. I am interested in deciphering mechanisms regulating heart and brown adipose tissue growth, majorly focusing on Hippo-YAP pathway. Except for doing basic research, I am also interested in doing translational research. For example, we use adeno-associated virus (AAV) or modified RNA (modRNA) as gene delivery vehicles to do gene therapy. The long goal of my lab is to first understand the basic molecular mechanism controlling heart or brown adipose tissue growth, and then apply the newly developed knowledge for developing novel therapeutic reagents targeting heart disease or obesity. Regulation of cardiac hypertrophy remodeling. Cardiac hypertrophic remodeling is an adaptive response of the heart to injury or pressure overload. It is beneficial at the beginning to maintain the heart function, but is detrimental in the long run. Calcineurin-NFAT pathway is a major pathway mediating pathological cardiac hypertrophic remodeling. My postdoc studies indentified miR-23a as a crucial factor regulating Calcineurin-NFAT pathway signal. My data showed that miR-23a is a direct target of NFAT. Transgenic overexpression of miR-23a predisposed the mice to β-adrenergic agonist or pressure overload induced cardiac hypertrophy. miR-23a functions by suppressing MuRF1 and Foxo3a translation. Inhibiting miR-23a with its antagomir is sufficient to suppress β-adrenergic agonist induced cardiac hypertrophy both in vitro and in vivo. The major underlying cause of heart failure is thought to be cardiomyocyte (CM) loss. We are short of therapeutic ways to either increase the number of functional CMs or reduce the loss of CMs in heart failure patients. Activation of YAP in the heart following injury significantly improved the heart function. Pik3cb is the major transcriptional target of YAP. Activation of PIK3CB partially rescued the heart failure phenotype of cardiac specific YAP knock out mice. Mechanism of cardiomyocyte cell cycle exit during postnatal cardiac growth. The neonatal mouse heart has a short regeneration time window (postnatal day one to day 6). During this time window, amputated cardiac apex can be completely regenerated. After P7/P8, the CM exit cell cycle, and the heart cannot be regenerated anymore. It is already known that the cell cycle machinery is shut down after the first week of life, but the mechanism remains unknown. Our YAP study suggests that YAP/TEAD complex is essential for CM proliferation. Vestigial like 4 (VGLL4) is a suppressor of YAP/TEAD complex. In our recent study, we found that precocious activation of VGLL4 caused cardiac hypoplasia. Our data suggest that the age-related VGLL4 expression and activity regulation is crucial for neonatal heart growth. The complex balance between YAP/TEAD and VGLL4/TEAD may control the CM cell cycle exit. 2013, Excellent Oral presentation award on Judah Folkamn research day, Boston Children’s Hospital. 2015, AHA Louis N. and Arnold M. Katz Basic Science Research Prize for Young Investigators Finalists. 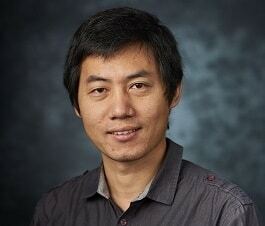 NIH R56 HL138454-01, Zhiqiang Lin (PI) 9/1/2017-8/31/2019. Zhang, D, Li, Y, Heims-Waldron, D, Bezzerides, V, Guatimosim, S, Guo, Y et al.. Mitochondrial Cardiomyopathy Caused by Elevated Reactive Oxygen Species and Impaired Cardiomyocyte Proliferation. Circ. Res. 2018;122 (1):74-87. doi: 10.1161/CIRCRESAHA.117.311349. PubMed PMID:29021295 PubMed Central PMC5756124. Hu, Y, Shin, DJ, Pan, H, Lin, Z, Dreyfuss, JM, Camargo, FD et al.. YAP suppresses gluconeogenic gene expression through PGC1α. Hepatology. 2017;66 (6):2029-2041. doi: 10.1002/hep.29373. PubMed PMID:28714135 PubMed Central PMC6082140. Sun, Y, Lin, Z, Liu, CH, Gong, Y, Liegl, R, Fredrick, TW et al.. Inflammatory signals from photoreceptor modulate pathological retinal angiogenesis via c-Fos. J. Exp. Med. 2017;214 (6):1753-1767. doi: 10.1084/jem.20161645. PubMed PMID:28465464 PubMed Central PMC5461000. Ai, S, Peng, Y, Li, C, Gu, F, Yu, X, Yue, Y et al.. EED orchestration of heart maturation through interaction with HDACs is H3K27me3-independent. Elife. 2017;6 :. doi: 10.7554/eLife.24570. PubMed PMID:28394251 PubMed Central PMC5400508. Zhou, P, Gu, F, Zhang, L, Akerberg, BN, Ma, Q, Li, K et al.. Mapping cell type-specific transcriptional enhancers using high affinity, lineage-specific Ep300 bioChIP-seq. Elife. 2017;6 :. doi: 10.7554/eLife.22039. PubMed PMID:28121289 PubMed Central PMC5295818. Lin, Z, Guo, H, Cao, Y, Zohrabian, S, Zhou, P, Ma, Q et al.. Acetylation of VGLL4 Regulates Hippo-YAP Signaling and Postnatal Cardiac Growth. Dev. Cell. 2016;39 (4):466-479. doi: 10.1016/j.devcel.2016.09.005. PubMed PMID:27720608 PubMed Central PMC5121000. Yu, W, Huang, X, Tian, X, Zhang, H, He, L, Wang, Y et al.. GATA4 regulates Fgf16 to promote heart repair after injury. Development. 2016;143 (6):936-49. doi: 10.1242/dev.130971. PubMed PMID:26893347 . Sun, Y, Ju, M, Lin, Z, Fredrick, TW, Evans, LP, Tian, KT et al.. SOCS3 in retinal neurons and glial cells suppresses VEGF signaling to prevent pathological neovascular growth. Sci Signal. 2015;8 (395):ra94. doi: 10.1126/scisignal.aaa8695. PubMed PMID:26396267 PubMed Central PMC4659437. Ding, J, Chen, J, Wang, Y, Kataoka, M, Ma, L, Zhou, P et al.. Trbp regulates heart function through microRNA-mediated Sox6 repression. Nat. Genet. 2015;47 (7):776-83. doi: 10.1038/ng.3324. PubMed PMID:26029872 PubMed Central PMC4485565. Prendiville, TW, Guo, H, Lin, Z, Zhou, P, Stevens, SM, He, A et al.. Novel Roles of GATA4/6 in the Postnatal Heart Identified through Temporally Controlled, Cardiomyocyte-Specific Gene Inactivation by Adeno-Associated Virus Delivery of Cre Recombinase. PLoS ONE. 2015;10 (5):e0128105. doi: 10.1371/journal.pone.0128105. PubMed PMID:26023924 PubMed Central PMC4449121. Lin, Z, Pu, WT. Releasing YAP from an α-catenin trap increases cardiomyocyte proliferation. Circ. Res. 2015;116 (1):9-11. doi: 10.1161/CIRCRESAHA.114.305496. PubMed PMID:25552687 PubMed Central PMC4283556. Lin, Z, Zhou, P, von Gise, A, Gu, F, Ma, Q, Chen, J et al.. Pi3kcb links Hippo-YAP and PI3K-AKT signaling pathways to promote cardiomyocyte proliferation and survival. Circ. Res. 2015;116 (1):35-45. doi: 10.1161/CIRCRESAHA.115.304457. PubMed PMID:25249570 PubMed Central PMC4282610. Prendiville, TW, Ma, Q, Lin, Z, Zhou, P, He, A, Pu, WT et al.. Ultrasound-guided transthoracic intramyocardial injection in mice. J Vis Exp. 2014; (90):e51566. doi: 10.3791/51566. PubMed PMID:25146757 PubMed Central PMC4267063. Lin, Z, Pu, WT. Strategies for cardiac regeneration and repair. Sci Transl Med. 2014;6 (239):239rv1. doi: 10.1126/scitranslmed.3006681. PubMed PMID:24898748 PubMed Central PMC4280908. Lin, Z, Pu, WT. Harnessing Hippo in the heart: Hippo/Yap signaling and applications to heart regeneration and rejuvenation. Stem Cell Res. 2014;13 (3 Pt B):571-81. doi: 10.1016/j.scr.2014.04.010. PubMed PMID:24881775 PubMed Central PMC4223001. Lin, Z, von Gise, A, Zhou, P, Gu, F, Ma, Q, Jiang, J et al.. Cardiac-specific YAP activation improves cardiac function and survival in an experimental murine MI model. Circ. Res. 2014;115 (3):354-63. doi: 10.1161/CIRCRESAHA.115.303632. PubMed PMID:24833660 PubMed Central PMC4104149. Chen, J, Huang, ZP, Seok, HY, Ding, J, Kataoka, M, Zhang, Z et al.. mir-17-92 cluster is required for and sufficient to induce cardiomyocyte proliferation in postnatal and adult hearts. Circ. Res. 2013;112 (12):1557-66. doi: 10.1161/CIRCRESAHA.112.300658. PubMed PMID:23575307 PubMed Central PMC3756475. von Gise, A, Lin, Z, Schlegelmilch, K, Honor, LB, Pan, GM, Buck, JN et al.. YAP1, the nuclear target of Hippo signaling, stimulates heart growth through cardiomyocyte proliferation but not hypertrophy. Proc. Natl. Acad. Sci. U.S.A. 2012;109 (7):2394-9. doi: 10.1073/pnas.1116136109. PubMed PMID:22308401 PubMed Central PMC3289361. Wang, K, Lin, ZQ, Long, B, Li, JH, Zhou, J, Li, PF et al.. Cardiac hypertrophy is positively regulated by MicroRNA miR-23a. J. Biol. Chem. 2012;287 (1):589-99. doi: 10.1074/jbc.M111.266940. PubMed PMID:22084234 PubMed Central PMC3249113. Lin, Z, Murtaza, I, Wang, K, Jiao, J, Gao, J, Li, PF et al.. miR-23a functions downstream of NFATc3 to regulate cardiac hypertrophy. Proc. Natl. Acad. Sci. U.S.A. 2009;106 (29):12103-8. doi: 10.1073/pnas.0811371106. PubMed PMID:19574461 PubMed Central PMC2715539. Tan, WQ, Wang, JX, Lin, ZQ, Li, YR, Lin, Y, Li, PF et al.. Novel cardiac apoptotic pathway: the dephosphorylation of apoptosis repressor with caspase recruitment domain by calcineurin. Circulation. 2008;118 (22):2268-76. doi: 10.1161/CIRCULATIONAHA.107.750869. PubMed PMID:19001025 . Lin, Z, Yin, K, Zhu, D, Chen, Z, Gu, H, Qu, LJ et al.. AtCDC5 regulates the G2 to M transition of the cell cycle and is critical for the function of Arabidopsis shoot apical meristem. Cell Res. 2007;17 (9):815-28. doi: 10.1038/cr.2007.71. PubMed PMID:17768399 . Lin, Z, Yin, K, Wang, X, Liu, M, Chen, Z, Gu, H et al.. Virus induced gene silencing of AtCDC5 results in accelerated cell death in Arabidopsis leaves. Plant Physiol. Biochem. 2007;45 (1):87-94. doi: 10.1016/j.plaphy.2006.12.003. PubMed PMID:17298883 . Yanhui, C, Xiaoyuan, Y, Kun, H, Meihua, L, Jigang, L, Zhaofeng, G et al.. The MYB transcription factor superfamily of Arabidopsis: expression analysis and phylogenetic comparison with the rice MYB family. Plant Mol. Biol. 2006;60 (1):107-24. doi: 10.1007/s11103-005-2910-y. PubMed PMID:16463103 . Stay up to date with our news and developments by clicking on the link below. Join us today and get connected.